A DACA rally in California. President Trump and congressional Democrats on Wednesday appeared to be no closer to a deal on protecting the young people known as "Dreamers" from deportation. This could spark another government shutdown. 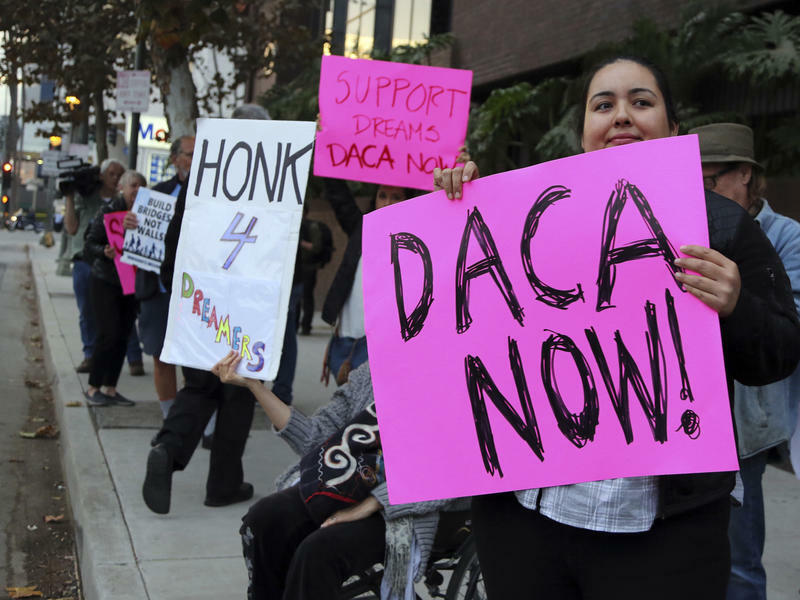 Democrats have threatened a no-vote on any spending resolution that does not include an extension of Deferred Action for Childhood Arrivals, or DACA program. Thousands of young adults’ futures are in limbo until the DACA issue is decided, including some here in our area. The immigration issue is also front and center in the legislative session in Tallahassee. Lawmakers there are being lobbied hard on the issue, just as the Florida House passed a measure last week that would ban so-called “sanctuary cities” in the state. Hutchinson is the Florida leader for Forward US (FWD.us), it’s an organization founded by tech giants Bill Gates and Mark Zuckerberg. They support comprehensive immigration reform and efforts to reform the criminal justice system. When it comes to the use of solar power here on the First Coast, advocates say increasingly, it’s a tale of two counties. In St. Johns County, hundreds of households have joined a solar cooperative that helps them afford solar panels on their roofs. A similar cooperative had been planned to start up in Duval County this month. Those plans are on hold. JEA recently decided to lower the amount it credits for electricity that homeowners generate from rooftop solar. The measure is scheduled to take effect in April, reducing the credit from 10 cents to 3 cents per kilowatt hour. This doubles the number of years it takes for homeowners to regain the cost of solar panel installation. And it puts solar power out of reach for many customers, who might otherwise want to make the switch. Critics of JEA’s move to cut compensation say it was designed to stall solar energy’s growth in the city. JEA denies that and the chair of JEA’s board has also suggested the utility may reconsider its decision. Superhero action, thrills and drama are coming to town with the debut of Marvel Universe LIVE! Age of Heroes. All your favorite characters, everyone from Spider-Man and The Avengers to the Guardians of the Galaxy, will join forces in a legendary battle to defend the universe from evil. The newest production from Feld Entertainment is stopping at the Jacksonville Veterans Memorial Arena this weekend, Friday through Sunday.